So PANIC. Yes, I went into a slight panic because I noticed how much I aged in 2 years! OMG. But looking back maybe it was just my bad lighting recently or maybe I'm still in denial but damage was done. Panic mode already set in and you know what happens when that happens. SHOPPING. Shopping FOR EVERYTHING ANTI-AGING including this. A PERSONAL TRAINER. Hahaha, Ive been paying for a year at Anytime Fitness but I've only been once because I didn't avail a personal trainer and I'm so lazy to go at it alone but now that I want that natural glow. GOOORAAA. AND THIS! 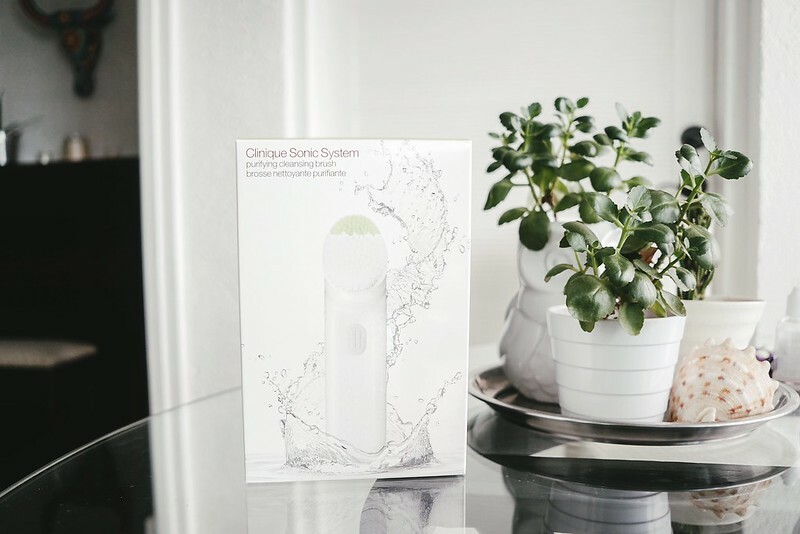 My CLINIQUE SONIC SYSTEM PURIFYING CLEANSING BRUSH! Because I wanted the Clarisonic at first cause it was the only brand I knew of and then good thing I asked my friend Angela of lushangel.com and she recommended this to me! Good thing cause it's practically the same but almost half the price! WHAT DO SONIC CLEANSING BRUSHES DO?